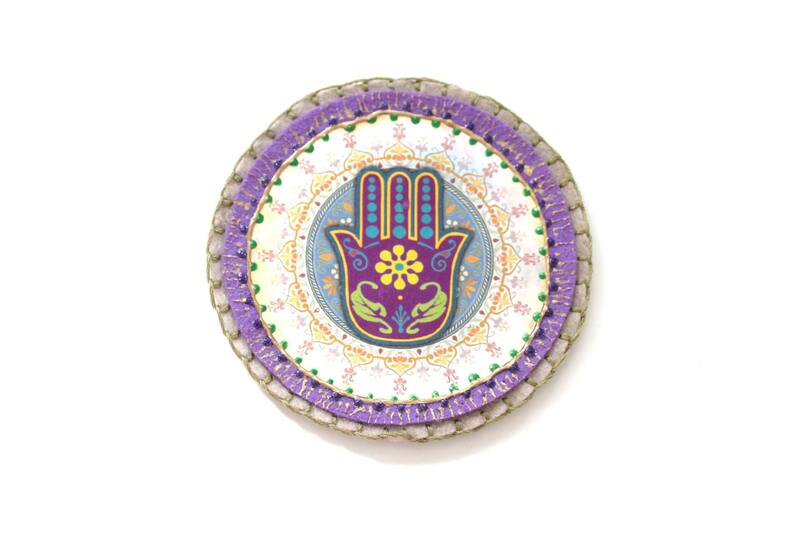 This is a handmade Applique to Sew or Glue on Your Favorite Jacket, Jeans, Backpack or anything that you like. 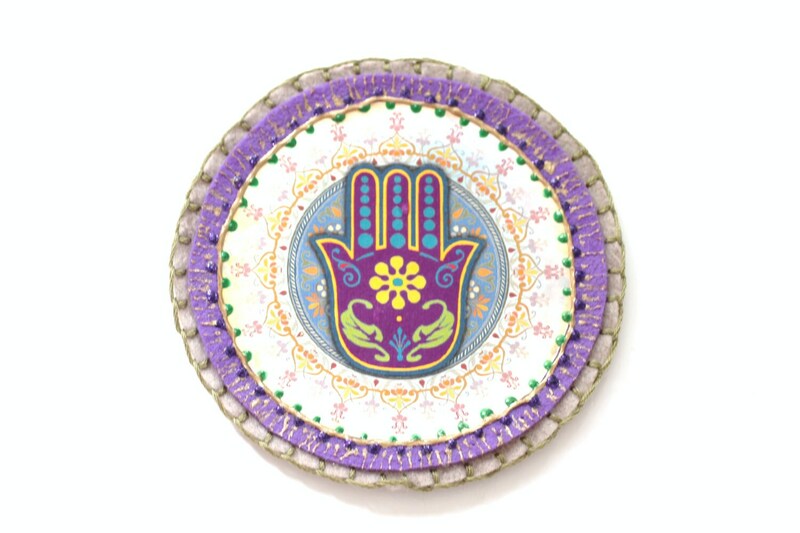 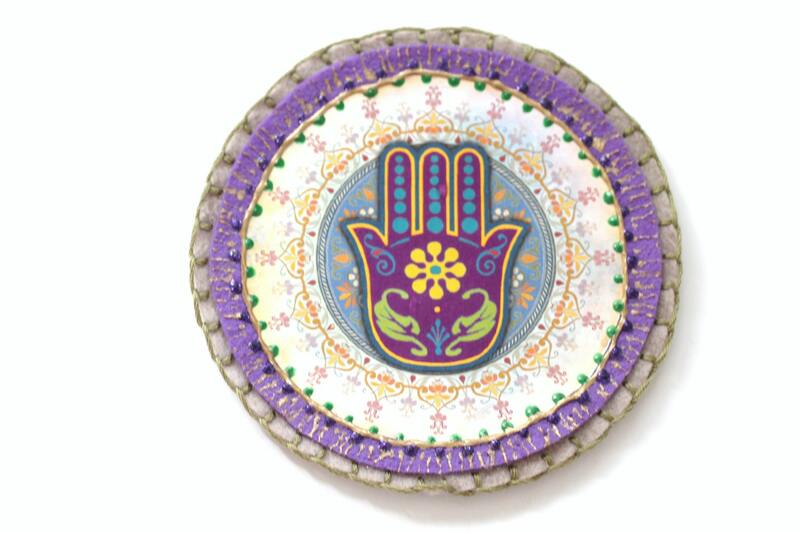 This is the Hand of Fatima Applique that is hand cut, heat sealed to silk art felt and hand painted. 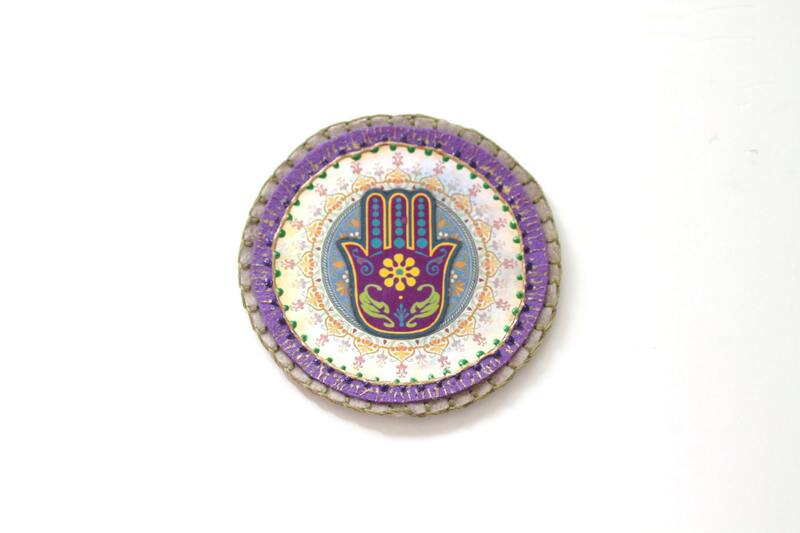 The Hand of Fatima, or Hamsa Hand is said to ward off the evil eye.